The Bear Force One Glider in Fortnite BR. You can buy it from the Cash Store for 1500 vbucks. 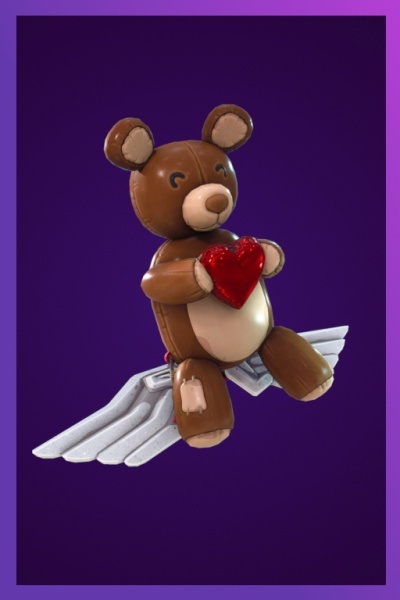 Bear Force One is the name of one of the Glider Skins in Fortnite Battle Royale. This item is a glider skin that modifies the look of your Glider. This glider has an "awwwwww" sound effect when deployed.